Recently I was watching the PGA tournament on television. One of the players hit a terrible drive into a thicket of trees, just like you and I do. He hacked out into the fairway just like you and I do. He pitched onto the green to ten feet, just like you and I (sometimes) do. All similarity ends there because he sank the putt for his par. A good putt washes away our sins. It forgives us our trespasses. It leads us beside still waters. There is no reason not to become fiendishly good at it. Yet, when I go to the range, it’s full of people hitting one worm burner after another with their driver and no one is on the putting green. I’ll spend an hour there, and maybe three other people will wander on, knock the ball around for ten minutes, and leave, thinking they’ve practiced their putting. Let’s say you take 38 putts per round. Probably fifteen of those putts are tap-ins under one foot. That means you have 23 putts that you have to pay attention to. That’s about one-quarter of the strokes you make. 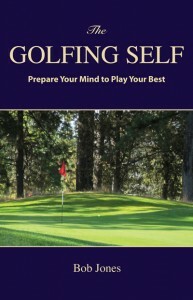 So do you devote one-quarter of your practice to putting? Actually, I think you should practice more than that. Try this. For every ball you hit on the range, spend one minute on the practice green. Do you buy those big buckets of ninety balls? Friend, you’ve just signed up for an hour-and-a-half of putting practice when you’re done. Study putting, try different things that might work better. Take putting lessons! 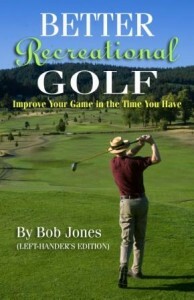 My pro tells me that out of the thousands of lessons he gives every year, less than one hundred are for putting. Swing technique is hard. We’ll never have a great swing. Putting technique is easy. There is no limit to how good we can get. 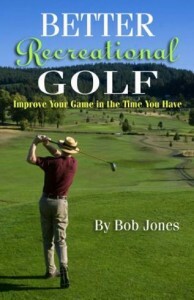 I read in a golf magazine about some amateur who wanted to get as good as he could at putting. He did. He’s under 30 putts per round routinely. Once had a round of 18 putts, and twice he’s had rounds of only 19 putts. Putting is our salvation, our chance to shine. I sing a song of praise to putting. Join the chorus.